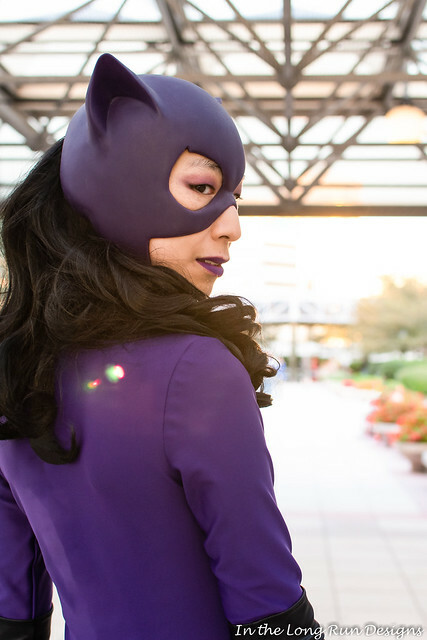 My purple Balent-style Catwoman costume is one of my favorite comic book cosplays, so I knew I had to wear it to Baltimore Comic-Con. Unsurprisingly, it was a big hit! As an added bonus, the weather was nice enough for us to do photos outside, which led to some cool shots, including at sunset. I had the opportunity to work with two great photographers in addition to Mike: Notsoprophoto Photography and S1 Price Lightworks. Here is a selection of photos I did with Mike. (I did the editing.) These first several were shot in the middle of the day. Here was one we did as the sun was setting. The lens flare is not from the sun itself, but rather, the sunset reflected off a large glass office building behind me. Me, tired and a bit goofy after a long day at the con! He got really low, which made me seem taller. I like the interesting perspective and composition he did! The next two photos are by S1 Price Lightworks. The lighting and angles are very cool! When Mike saw the reflected light that Sean was getting, it gave him the idea for the sunset shot of me looking over my shoulder that I posted above. 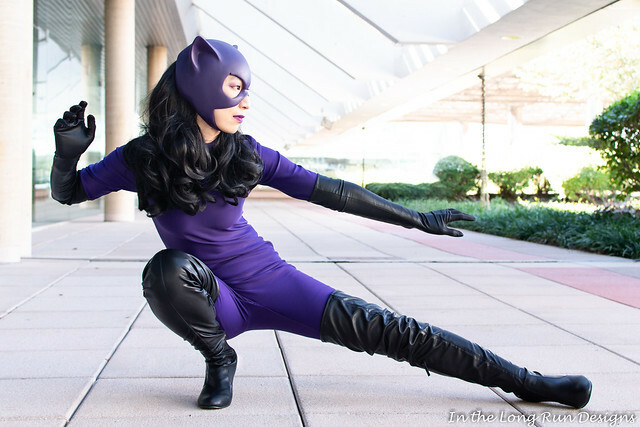 Although this costume is sometimes difficult to wear (hello, tight bodysuit and cowl! 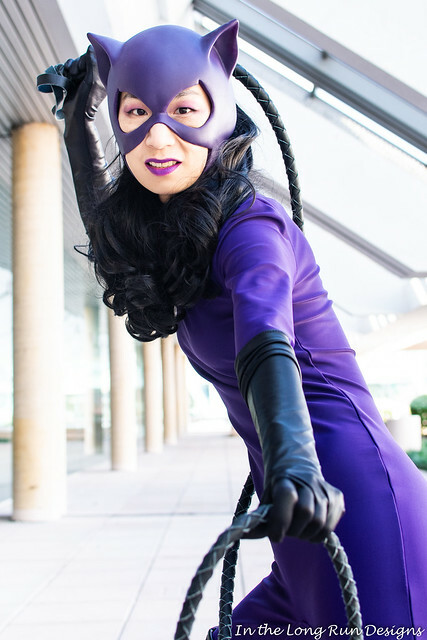 ), it is one of my favorite versions of Catwoman, and I was very happy to bring it to Baltimore Comic-Con.